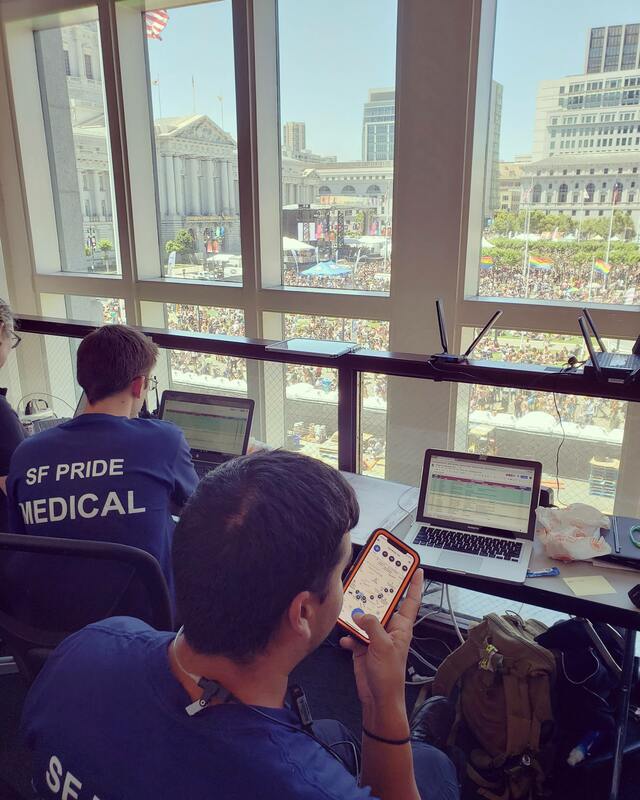 At large-scale events like San Francisco Pride, one of the most significant logistical problems for medical staff is matching field teams with patients who need help. Traditionally, supervisors try to stage teams throughout a venue, in hopes of having teams located close to the areas where people might call for help. This approach, however, can be unreliable. It’s difficult to predict where medical emergencies might arise, especially at events that cover dozens of city blocks. And redistributing mobile response teams using traditional radios eats up precious response time. That’s where Orion comes in. 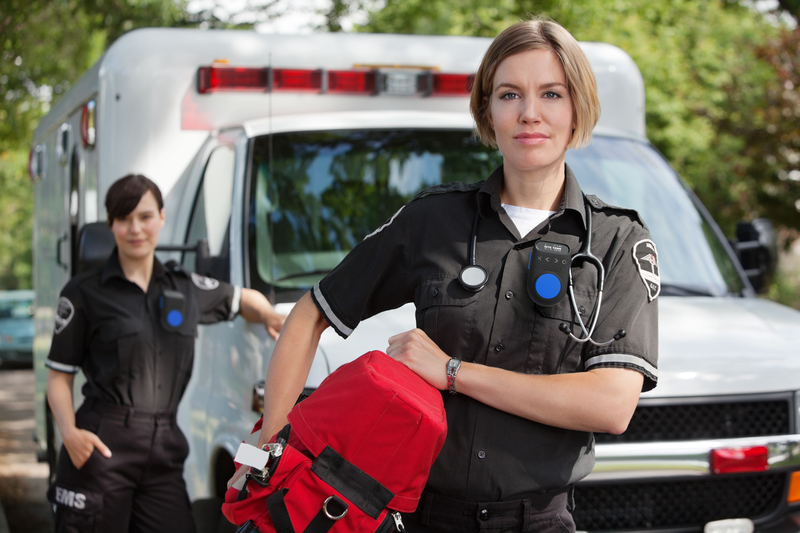 With Orion, Rock Med staff track their teams’ locations directly through the app, saving critical time and allowing EMTs to better focus on patients. They also rely on Orion’s push-to-talk (PTT) technology on their rugged smartphones to communicate quickly across any distance. Over the course of a five-year partnership, Rock Med has used Orion’s connected voice platform at dozens of large-scale events, such as the Outside Lands festival and the annual footrace Bay to Breakers, to improve communication flow and simplify logistics. Leading the partnership is Orion Co-Founder and CTO Greg Albrecht, who has been working with Rock Med for nearly a decade as an EMT, Dispatcher, and EMS Field Supervisor. At San Francisco Pride, Rock Med leveraged Orion technology with impressive results. Rock Medicine was the primary provider of medical response and services to attendees of Pride, staffing an onsite clinic and first aid tents, as well as over 15 mobile response teams. About 1.5 million people attended the festivities along Market Street and in front of San Francisco City Hall. Initially, Orion was set up at this year’s event to assist Rock Med supervisors in locating medics to match them with patients in need, via GPS tracking. Its secondary purpose was administrative and logistics communication, through Orion’s push-to-talk technology. However, due to capacity and coverage issues with the primary radio system, Orion played a much more significant role at Pride than initially anticipated. After several unsuccessful attempts to increase coverage with traditional radios, Rock Med quickly trained teams over-the-air on Orion use. Rock Med teams passed the training down the parade route, from team to team, to ensure those who were out of contact could re- establish communications, this time using Orion. Without Orion, critical communication between medical dispatch and field teams would have been severely compromised, taking the focus away from essential medical care and putting lives at risk. At large events like these, Orion’s technology can help save lives, by simplifying logistical processes without taking attention away from the vital care EMTs provide. Orion’s powerful platform, versatile features, and ease of use proved it to be a highly useful tool for Rock Med staff at this year’s Pride celebration. It’s a tool that can be quickly and easily integrated across industries and verticals to boost productivity and streamline communication. “Orion has been an important tool for the Rock Med team over the past five years, helping us save time and focus on the critical patient care we provide,” said Gordon Oldham, Executive Director at Rock Med. Rock Medicine, also known as Rock Med, has been providing free “non-judgmental health care” at festivals and events throughout the West Coast for more than 40 years. SF City Hall photo by Tehani Schroeder.